The death of budget coffee brands. Loved for generations and now tasting awful. The death of budget coffee brands -- like Maxwell House, Folgers and Yuban. 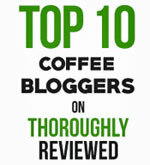 Coffee lovers write to us here at Coffee Detective about all kinds of things coffee-related. But one of the most consistent threads relates to people’s growing disappointment with the quality of their favorite budget coffee brands. 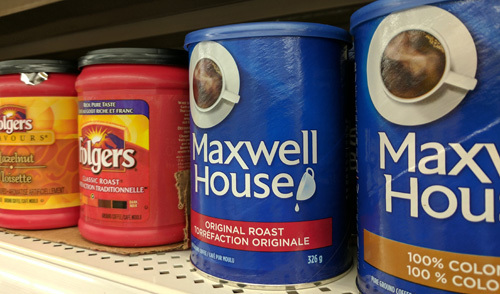 You can go back generations in North America, open a kitchen cupboard and find a can of Maxwell House coffee, along with other brands like Folgers and Yuban. Before the days of Starbucks and gourmet coffee, this is what Americans drank at home. Even after the arrival of Starbucks and numerous local independent coffee shops, there are still millions of coffee lovers who reach for a can of budget coffee when they do their weekly shopping. Except... it seems the big brands are now betraying that loyalty and heritage. From what we’re hearing, even the most die-hard fans have had enough and are moving on. "I am 56 yrs old. My great grandmother, grandmother and mother all drank Maxwell House. What on earth is going on down there? 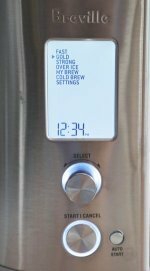 The coffee in the Maxwell House container was so bad I can't begin to express." "I can remember waking up at 5am every morning when I was a child just to spend time with my dad over a cup of Maxwell House coffee. Coffee is a very special time for me in the mornings, and the nostalgia associated to my morning time ritual is immeasurable... I've bought all the good coffees, but recently finding ourselves in a bind, we went back to MWH that was on sale. We've been trying to get through the can and just... CAN'T. Since opening this can, the flavor is horrific... Sad, sad, sad. MWH with my dad was a great memory! Sadly it will stay just that." "Maxwell House used to be a reasonable price and have a good flavor. In the last two cans I bought, there has been a huge problem. It just doesn't smell or taste like coffee. It tastes like chemicals. I can't drink it or smell it." And it’s not just Maxwell House that has reduced the quality of their coffee to such an extreme degree that people can no longer drink it. "My parents drink Folgers & they complain it doesn’t taste the same either. Not sure what has changed but something sure has!! Please fix the problem!!" "I have been drinking Folgers coffee for years but the last few months of 2015 I noticed that my coffee didn't taste good anymore and every time I drank it I would feel nauseated and my stomach would get upset." "I've been a loyal Folgers fan for years. We noticed a bad taste and smell. We thought possibly it was our coffee maker. Bought a new one, another purchase of Folgers. Still horrible. Will NOT drink this. Switched to Maxwell House and are experiencing the same thing!! WHAT is this?" 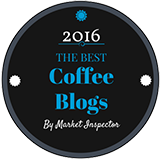 "I have been a Yuban coffee drinker for 30 years and now have to find a new favorite. The new Yuban is nothing like the previous version and is bad coffee. Too bad the makers thought changing it to junk was a good idea." "Just purchased a canister of Yuban original coffee yesterday. This morning I made a pot of what I thought was coffee...what is this??? Can you buy coffee that tastes like coffee anymore?" All this raises the question... Why? It’s easy to blame the big companies behind the brands. Clearly they are using lower and lower quality beans for their coffees. Sometimes it feels like they’re playing a version of chicken with their customer base. That said, we should allocate some blame to ourselves as well. Consumers demand that their beloved budget coffee brands are cheap to buy. Maybe the price of the coffee beans has gone up. Maybe the production costs have doubled or tripled over the last 10 or 20 years. Consumers don’t care. That’s the company’s problem, not theirs. People just want to same coffee they always enjoyed, but without having to pay any more for it. Consumers want their budget coffees, companies have to make savings so they can continue to make profits... and what you end up with is horrible coffee. As for the question about how crappy can budget coffee become before people stop buying it... I think we’ve pretty much reached that point. And for coffee lovers who are dismayed by the falling quality of their low-price favorites, all I can say is that if you want good coffee, it’s time to open your wallets and pay a little more. You can complain all you like, but better coffee costs more. The days of getting decent coffee at bargain basement prices are behind us.